This time of year while grabbing a cup of coffee or a mug of hot chocolate in The Trembley Group Real Estate office kitchen, you’re likely to hear stories of Christmas Eve church services, baking Christmas cookies with mom, Grandma’s Advent Calendar, or decorating the Christmas tree. One Real Estate Professional loves to tell stories of his family serving dinner at the Our Daily Bread Soup Kitchen during the Christmas season. The holiday rituals started this year may become some of the best memories a family has for years to come. From counting down the days until Santa’s arrival to the big post-present-unwrapping meal, it’s the little things that families do to celebrate Christmas that become the most anticipated holiday events that kids and their parents look forward to all year long, and the ones that they’ll remember and talk about years later. That’s what’s heard around The Trembley Group Real Estate office coffee pot this time of year – family memories made during the Christmas season that have been cherished for years and sometimes decades. Traditions mean more to folks than they probably realize. For most folks, childhood Christmases were predictable. They did the same thing every year and they loved it. Predictability is comforting for everyone but especially for children. That’s part of the reason that Christmas traditions are so important. Everyone yearns to be part of something, especially during the holiday season. That’s one of the reasons family Christmas traditions are so important. Traditions knit a family tightly together, giving them common memories that brings joy. The Trembley Group Real Estate Professionals have family, childhood Christmas traditions that they are carrying forward and are building new ones with their families each year. Sometimes it seems hard to believe, but there once was a time when the Christmas season was about more than the just I-phones and I-Pads under the tree. With all the hustle and bustle of Christmas, it’s easy to forget to create precious moments with loved ones. The Trembley Group Real Estate encourages everyone to consider starting a new Christmas tradition or continuing one of their childhood traditions. For many around The Trembley Group Real Estate coffee pot, choosing and decorating a Christmas tree for the holidays is one of the most beloved of December traditions. Growing up, many made a day of it – they bundled up – especially the Canadians – and took a trip to a tree lot or a cut-your-own farm to find just the perfect tree (and maybe had hot chocolate or even supper along the way). One of the most important things to remember when picking a tree is height and girth that will fit the space allotted for the tree. Take measurements of the area before shopping. 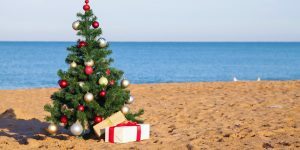 When choosing a Christmas tree in Myrtle Beach, a tradition-creator has two options – buy a tree from a reputable tree lot or buy one from a cut-your-own farm. Either way, choosing and decorating a live Christmas tree is a wonderful Christmas tradition to start or to continue. 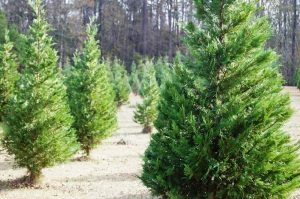 There is only one cut-your-own Christmas tree farm in Horry and Georgetown counties – Booth’s Christmas Tree Farm outside of Conway in Horry County. For those interested in creating a cut-your-own tradition, don’t just head out into the woods and make like Paul Bunyan – that’s illegal. Booth’s tree farm will have much nicer, fuller Christmas trees due to the pruning and care they receive over the years. At Booth’s, tradition-creators can choose and cut Christmas trees, can choose and Booth’s will cut, can choose from a selection of pre-cut Christmas trees, or opt for a living Christmas tree (to plant later). Booth’s also carries a selection of Christmas wreaths, garlands, and tree flocking. Their trees can be bagged, tied, shook, or baled. Saws are provided, and the farm offers winter hay rides, restrooms, and a picnic area. Booth’s is conveniently located off US Highway 701 North, just north of SC Highway 22. Make a right onto Adrian Highway at the traffic light at the foot of the bridge. If more specific directions are needed, call Booth’s at (843) 421-8118. Booth’s Christmas Tree Farm is open Monday through Saturday, 8:00 am to 8:00 pm and Sunday, 1:00 pm until dark. Opening Day Thanksgiving Day until Christmas Eve. Check them out on Facebook for lots of photographs, detailed directions, and farm information. You-Choose and You-Cut varieties: Carolina Sapphire, Deodara Cedar, Eastern Red Cedar, Eastern White Pine, Leyland Cypress, Virginia Pine, White Pine, and other varieties (call first!). You Choose and They cut varieties: Carolina Sapphire, Deodara Cedar, Eastern Red Cedar, Eastern White Pine, Leyland Cypress, Virginia Pine, White Pine, and other varieties (call first!). PreCut varieties are limited to Fraser Fir. Living, rooted tree varieties: Carolina Sapphire, Deodara Cedar, Eastern Red Cedar, Eastern White Pine, Leyland Cypress, Virginia Pine, White Pine, and other varieties (call!). 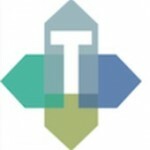 The Trembley Group Real Estate Professionals suggest going early. Waiting until the night before Christmas to get a tree may leave tradition-makers trekking across lots of empty spaces filled with the ghosts of Christmas trees past. Bring a handsaw (though Booth’s will loan you one), since chainsaws and axes are not allowed. The tree needs to be cut it as close to the ground as possible in order to have enough trunk to give it a second cut when it’s at home. The second cut allows the Christmas tree to soak up water and that’s the key to keeping the tree fresh through the holidays. Booth’s will put mesh around the tree. Leave it on until it’s ready to set it up at home. Booth’s will shake the tree at the farm, but it’s still a good idea to tap it on the driveway a few times to shake off the loose needles from the tree. Then give it a second cut and set it in a bucket of water. Once it’s in the house, keep the temperature a little cooler, around 65 degrees or so. This will keep a freshly cut Myrtle Beach South Carolina Christmas tree looking and smelling fresh throughout the holiday parties and fun. 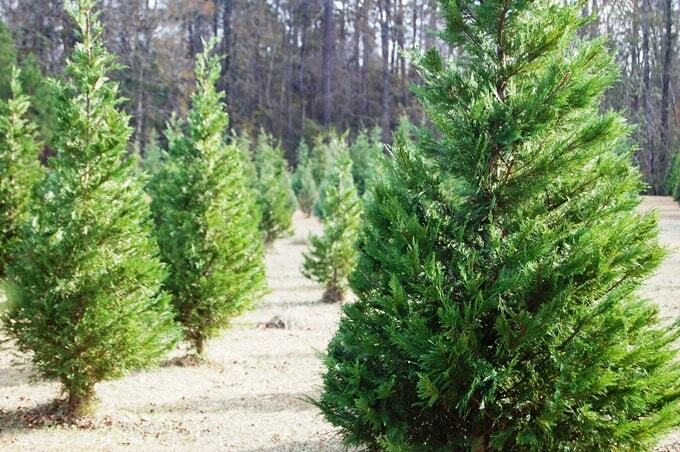 For those interested in creating a family tradition but not interested in hiking through fields of trees or the labor of cutting off a tree at ground level on their hands and knees, the Myrtle Beach area has some very reputable tree dealers offering very fresh Christmas trees. Goodman’s offers precut Christmas trees from their own tree farm. In addition to trees, they offer Christmas wreaths and garlands. They offer their trees bagged, baled, or tied. Tree shaking and saws are provided. Goodman’s is open Sunday through Thursday, from 10:00 am to 8:00 pm; Friday 10:00 am to 9:00 pm; Saturday 9:00 am to 9:00 pm. Goodman’s lot is located in the large grassy lot in front of Books-A-Million at Inlet Square Mall. Look for the big yellow and white tent! They accept cash or checks. Goodman’s is a local family-owned business that grows fresh Fraser Fir and White Pine Christmas Trees! They also offer 8-36 inch Wreaths, Garland, and Stands. All trees are kept in water and shade on the lot and they are happy to offer free netting and a fresh cut. They even offer delivery. Their Christmas tree varieties are Eastern White Pine, Fraser Fir, and Virginia Pine. Cabana Christmas Trees are open until the Sunday before Christmas, daily from 9:00 am to 7:00 pm. From Myrtle Beach, they are located at the intersection of 17 and Waverly Road. They offer tree drilling available for spike stands, trees shaken to remove any loose or old needles, trees wrapped for transporting home, and assistance for loading tree. Cabana’s is a full-service Christmas market that has everything you need to bring the spirit of Christmas into a home. Cabana’s offers Fraser Fir trees from tabletop to 10 feet, garland, homemade wreaths, and much more. All trees are fresh cut in North Carolina and kept in water. North Carolina is the nation’s largest Christmas tree producer. Cabana’s offer tree shaking, netting, and drilling at no extra charge. Seven years in the business of selling Christmas trees, Cabana’s is ready willing and able to help create a new family tradition or perpetuate an old tradition. Many of their customers are repeats. They say Cabana’s is a fun place to visit and they look forward to coming back every year. Cabana’s sells Fraser Firs. Be sure to check the needles. Trees with brown needles or trees that lose needles easily when brushing a branch lightly are already drying out. Move onto one which has less of both. Clear the area where the tree will be placed prior to buying and make sure to take measurements. Cut the base before putting the tree into the holder. Trees need to be mounted within 8 hours of cutting the base. A tree’s ability to absorb water is significantly hampered after 8 hours of cutting. The base of the tree needs to be cut horizontally. DO NOT cut the base on an angle. A clean, straight cut is best. Most importantly, keep the Christmas tree watered! A freshly cut tree will drink approximately a gallon of water in the first day. By keeping water levels at about a gallon, you will be able to see how much the tree absorbs to guide your watering schedule. Check needles and adjust the watering schedule if it seems to be drying out. Most of all, The Trembley Group Real Estate Professionals encourage their friends and clients to enjoy the process, create some wonderful memories, make at least one new tradition, and have a wonderful, blessed, and Merry Christmas.